Copied this from LBH DC.. seems that filming of "The Insiders" may have started.. perhaps the scenes without the main cast. Thanks to mistymorning for the translated fan-description. Somebody rang the door early in the morning, saying he's a movie staff, - I thought what a crook - but he said they're filming in the back of the house so it might become somewhat noisy, and gave this mug. 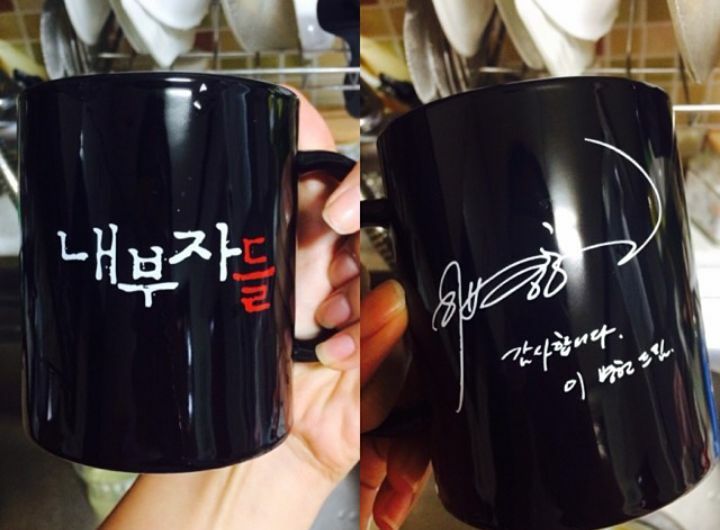 The left is the title of the movie "Insiders" on the right is LBH's signature, with a 'Thank you' note. It's understood that the main cast of the movie 'The Insiders' gathered today for the first script reading. Also present along with actors Lee Byung Hun, Jo Seung Woo and Baek Yoon Sik were the director and reps from Showbox. This is interesting news. I mean Baek Yoon Sik been cast in upcoming drama Nodame Cantabile that schedule to be air this October. I thought his schedule will be free before they filming. So if the script reading started, the movie filming will start soon. Lucky this movie setting is in current era. Not saguek or period or anything like that. Now I wonder if his scenes will be finish filming before he start for the drama or he will do double duty here. ^ Filming probably take two months tops.. or even less. The actors all have tight schedules themselves, especially towards end of the year with MOTS etc. The early and short filming duration for 'The Insiders'.. one of the reasons LBH was able to take on the movie. Congrats to Lee El (birth name: Kim Ji-hyun) for scoring the part of love interest to veteran actor Lee Byung-heon in the upcoming movie Insiders. The actress has had smaller parts in dramas (Mother’s Garden, Level 7 Civil Servant) and movies (Masquerade, Pacemaker), but this was a coveted role and is a significant step forward for her career. Insiders is an adaptation of the eponymous webtoon by popular writer and manhwa artist Yoon Tae-ho (Misaeng, Moss), and will be directed by Woo Min-ho (Spies). Lee El will play an elegant goddess-type madame to Lee Byung-heon’s gangster, who is basically a lackey for corrupt politicians. 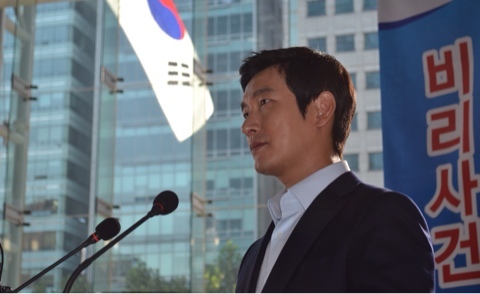 The male Lee signed on to the political thriller early, as did Jo Seung-woo (God’s Gift – 14 Days), who will step into the shoes of a passionate investigator in the film. When Lee Byung-heon is betrayed by the officials he serves, he, with the help of Lee El, will set out to exact revenge. This could be a breakthrough role for the actress, and though I’ll admit to not recollecting her in her previous roles, I already knew I’d be watching for the two male leads, and she’s certainly maintaining, if not elevating, the level of pretty among the cast — what can I say, I’m easy to please (and fickle like that). Fingers crossed she wows us in this high-profile opportunity. Insiders will begin shooting in mid-July. According to FNC Entertainment Agency, actor Jo Jae Yun (Empress Ki) has been confirmed to join the the movie 'The Insiders'. The actor will be playing the role of a Prosecutor Chief alongside actor Jo Seung Woo. (Google-gist). Lee El to star in "The Insiders"
Actress Lee El is starring in the movie "The Insiders". Based on the original web-toon, "The Insiders" delves into the world of corruption which takes place deep in society. It's directed by Woo Min-ho from "Man of Vendetta". Lee Byung-hun stars in this movie as Ahn Sang-goo, a political gangster who does all of the authorities' dirty work and Jo Seung-woo is Woo Jang-hoon, an investigator of a corrupt government. Baek Yoon-sik is an editor-in-chief and Lee El is a fancy madam who helps Lee Byung-hun with his plan. "The Insiders" cranks in this month. The latest cast to join the ensemble of actors Lee Byung Hun, Jo Seung Woo, Baek Yun Sik, Lee El, Jo Jae Yun collaborating in 'The Insiders' is Kim Dae Myung. His prior movies were The Target, Fatal Encounter, Broken and The Terror Live among few. The filming of 'The Insiders' officially started shooting on July 13th. The webtoon-based feature starring Lee Byung Hun as political mafia Ahn Sang Goo and Jo Seung Woo as Woo Jang Hoon is aiming for an early 2015 release. The scenes filmed on July 13 were set in a 90s' styled nightclub. Actors Lee Byung Hun and Baek Yoon Sik were involved together in the filming. Korea’s top actors Lee Byung Hun, Jo Seung Woo, and Bae Yoon Sik will be starring in the upcoming movie The Insider (내부자들). Many people are looking forward to this movie just knowing the fact that these top actors are filming together. The Insider team started their script reading on July 10 and started filming for the movie on July 13. The movie is based off of an original web cartoon by author Yoon Tae-Ho, who also wrote the web cartoons for Moss(이끼) and Incomplete Life: Prequel(미생) which have also been remade into movies as well. The Insider is a crime movie that demonstrates the Korean society’s corruption that happens through the insiders. With an impressive cast, strong characters, and it being a remake of a popular web cartoon, many people are expecting the movie to be a great piece. The film ‘The Insiders’ which draw expectation with actor Lee Byung-Hun and Jo Seung-Woo’s collaboration starts to shoot. On the 22th, according to Show Box Mediaplex, ‘The Insiders’ started to meet audience as proceeding the whole cast script reading on the 10th and filming on the 13th. Just the fact that we can see Lee Byung-Hun, Jo Seung-woo and Baek Yoon-Sik who have strong personalities and acting ability, ‘The Insiders’ became a hot issue. The first shoot which was set at a night club in Seoul on the 13th, started by the meeting between a gang An Sang-Goo (Lee Byung-Hun) and editorial writer of Soo-Do newspaper, Lee Gang-Hee (Baek Yoon-Sik). It is said that these two actors' overwhelming presence and charisma act made the staffs surprised. 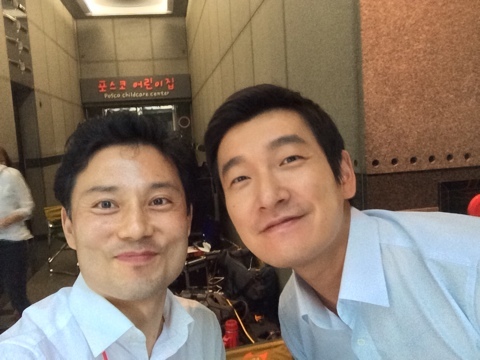 Filming began last week for the upcoming Korean thriller Insiders. Featuring superstar LEE Byung-hun in the lead, the film also features actors CHO Seung-woo and BAEK Yoon-shik. Holding the reigns is The Spies (2012) and Man of Vendetta (2010) helmer WOO Min-ho. Based on a webcomic by YOON Tae-ho, who also inked the source material for 2010’s Moss, Insiders features LEE as a political enforcer who handles the dirty for those in the halls of power. Following a sudden fall from grace, he sets out to exact revenge. One of Korea’s most high profile actors, LEE has featured in Masquerade (2012) and Hollywood hits such as the G.I. Joe franchise and Red 2. He will next be seen in the period epic Memories of the Sword. 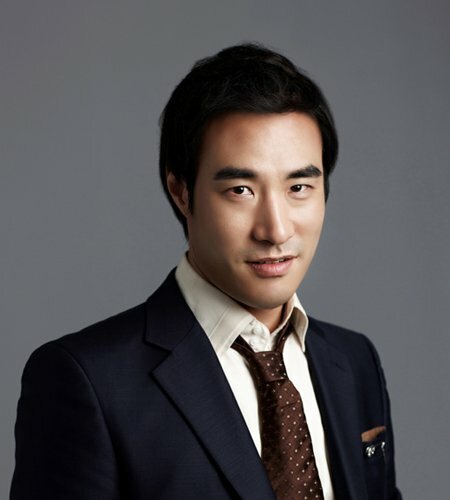 Joining him are CHO Seung-woo of Tazza: The High Rollers (2006) fame as a prosecutor and Save the Green Planet (2003) star BAEK Yoon-shick as a journalist. Set to be released in 2015, Insiders joins an already blockbuster-heavy lineup from Showbox, who are releasing the highly anticipated Kundo: Age of Rampant this week and currently in production with YOO Ha’s 1970s-set gangster film Gangnam Blues, LEE Joon-ik’s period film Sado with SONG Kang-ho and Detective K: Farmhand's Daughter. 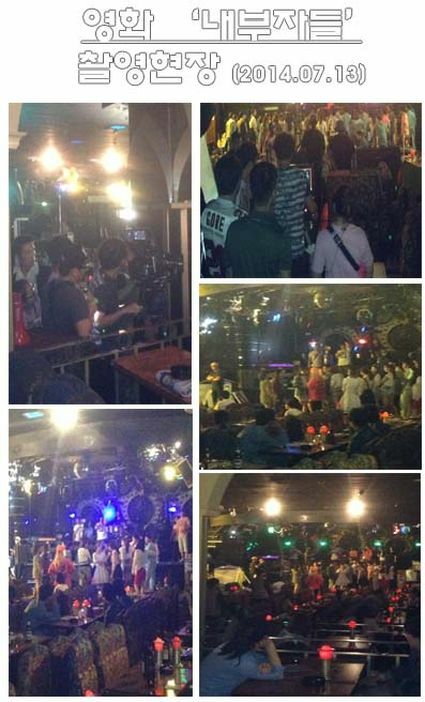 Production for the film got underway in a Seoul night club on July 13th. Based on the webtoon of the same name by Yun Tae-ho (“Moss” and “Misaeng”), the movie “The Insiders” finalized its star cast of Lee Byung-hun, Cho Seung-woo, and Baek Yun-sik and started filming in mid-July. According to its production company Showbox Media, “The Insiders” completed the final reading session on the 10th and began filming on the 13th. The first shoot took place at a club in Seoul for the scene where gangster Ahn Sang-gu (Lee Byung-hun) and editorialist Lee Gang-hee (Baek Yun-sik) meet. The two actors’ powerful charisma left the crew stunned as well as the director Woo Min-ho happily impressed: “The tension was intense. They are definitely veteran actors, and I’m looking forward to working with them.” Lee Byung-hun stars as a gangster who has nothing more to lose. “Everyone’s very passionate on the set. With great actors and crew working together, I think we are in for a great project,” he said. Cho Seung-woo, appearing as a special unit prosecutor, said that he was happy to be working on a meaningful movie after a 3-year wait. He added that he is looking forward to working with the best actors and staff and a very dedicated director. Lastly, Baek Yun-sik, appearing as an editorialist for a conservative paper, said, “There’s a good chemistry between the actors and the staff. We had a good start, and I feel good about this movie.” “The Insiders” is a crime drama that penetrates into the corruption and scandals of the Korean society. Bae Seong-woo in "The Insiders"
Actor Bae Seong-woo will be taking part in "The Insiders". He stars as Park Jong-pal, according to his agency. "The Insiders" is written by Yoon Tae-ho from "Misaeng" and "Moss" and is based on the original web-toon "The Insiders", which takes apart the corruption and schemes buried deep in the Korean society. Bae Seong-woo's role of Park Jong-pal is the CEO of Moonband Sesi and Ahn Sang-goo's (Lee Byung-hun) right-hand man. He approaches people according to Ahn Sang-goo's orders and is expected to bring out Bae Seong-woo's true colors through this character. Bae Seong-woo has starred in the 2014 films, "Monster - Movie", "Obsessed", "The Divine Move" and more. He's currently working on "The Insiders", "Big Match", "My Dictator" and "My Love, My Bride - 2014". "The Insiders" started filming on the 13th of July and will be released in 2015. 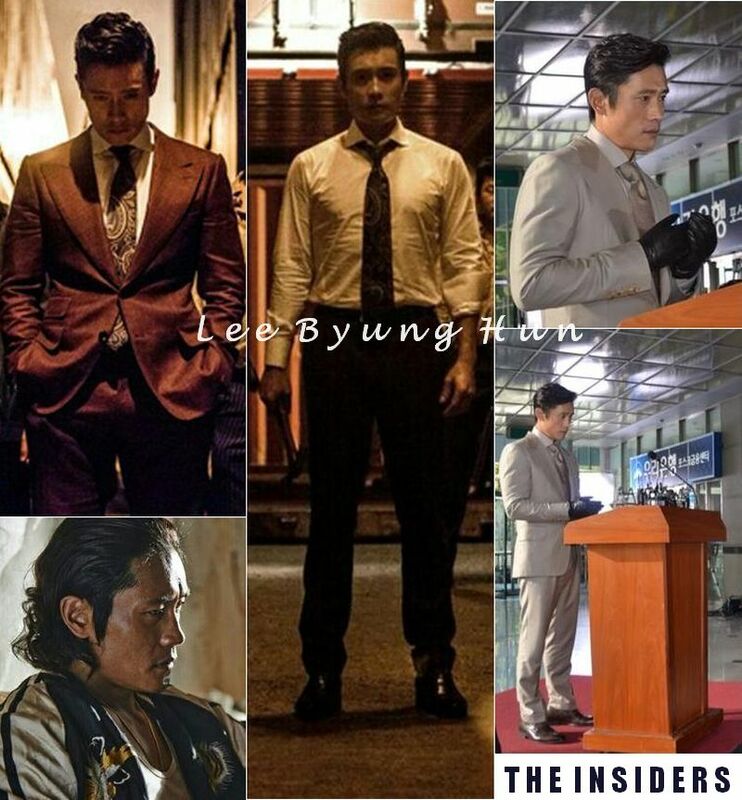 Lee Byung-hun's still cuts from "The Insiders"
Pictures of Lee Byung-hun as a political hoodlum have been released. 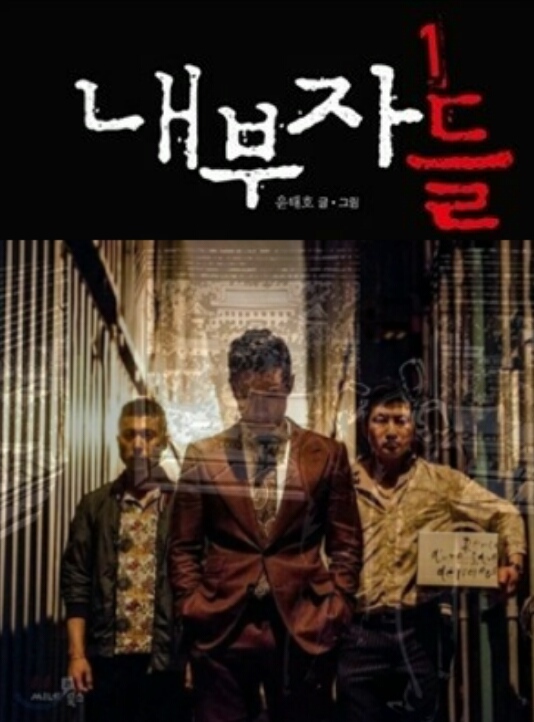 "The Insiders" is a criminal drama that digs through the corruption of the Korean society starring Lee Byung-hun as the political hoodlum, Jo Seung-woo as a passionate investigator and Baek Yoon-sik, a wise media advisor. Based on the original web-toon, "The Insiders" is directed by Woo Min-ho from "Man of Vendetta". Lee Byung-hun stars in the movie as Ahn Sang-goo, a man who seeks revenge when his life is ruined after completing a variety of work for the ones with power. In the pictures, Lee Byung-hun appears to be much tougher and manlier than he's ever been and he's also going to be acting using an accent which he's never used before. 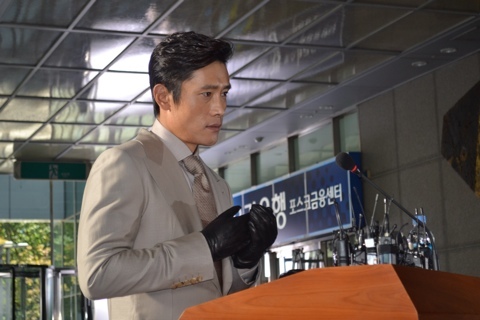 Lee Byung-hun said, "I feel the heat on the set. 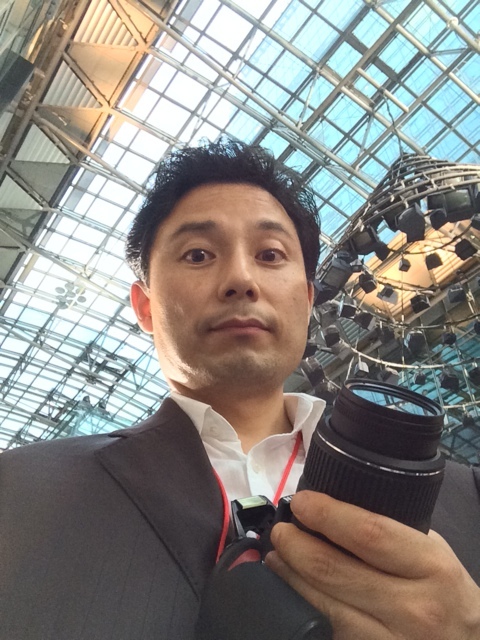 I expect the movie to be a great one with all the hard work by the cast and staff". The makers of forthcoming thriller “The Insiders” have released a set of still images from the film. 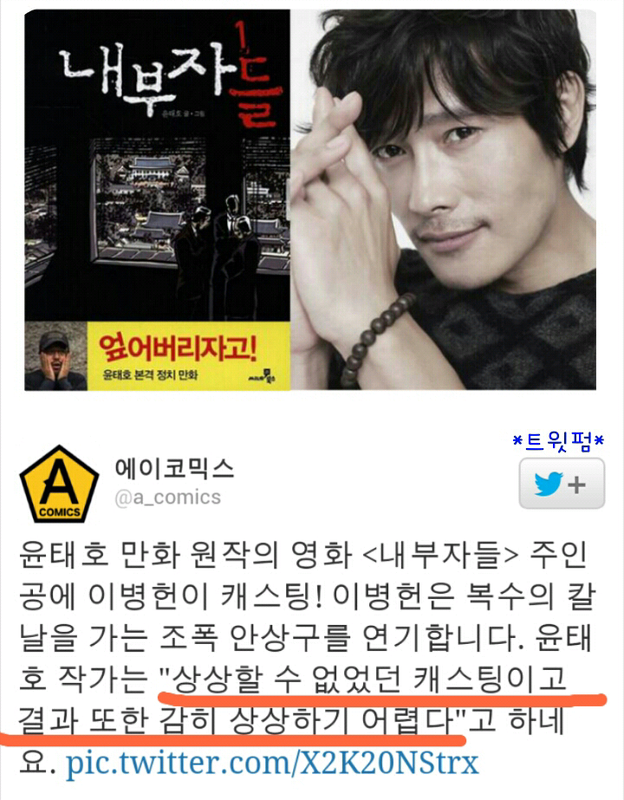 The movie will star Lee Byung Hun, who will play the role of a gangster seeking revenge. The screenplay was based on an Internet comic series of the same name, and is set in a seedy underworld rife with corruption and double-dealing. The film has been gaining attention ever since cast and crew began shooting in early summer this year, and veteran actors such as Jo Seung Woo and Baek Yoon Sik are also set to feature. Showbox, one of Korea’s major film groups, is planning to expand its presence in China with the establishment of a Chinese division in early 2015. “Showbox China will be set up next year and take part in one or two Chinese film productions per year,” said CEO Yoo Jeong-hun at the Showbox Carnival party on Saturday in Busan. The Chinese unit is expected to produce and develop content squarely-aimed at the China market. These may be Chinese remakes of Korean titles, films that are co-productions, or projects that are pitched to Showbox in Seoul, but do not go forward as Korean movies. “The target market for these is mainland China, Greater China perhaps, and we will see what potential they have for any other markets. They need to recoup in China,” Chris Jung, Showbox VP, told Variety. “We are taking a very project-oriented approach, with a strong emphasis on the development process, it is not about having big, fancy offices in Beijing,” said Jung. The pictures’ below the line budgets will initially be “small or medium,” according to Jung, but the final cost will depend on the level of Chinese stars attached. A small number of staff is expected to relocate from Seoul to Beijing. And while he says that the projects are not conceived as vehicles for K-pop stars to enter the China market, in contrast directors may be Korean or Chinese, depending on the project. “We have some Showbox directors who are China-ready, others who are not,” he said. Showbox and leading Chinese group Huayi previously co-operated in 2012 when Huayi boarded and co-financed Showbox’s $22 million “Mr. Go,” a fantasy sports drama with a large VFX component. Huayi enjoyed box office of $17.6 in China by pitching it as a children’s film. Showbox pitched the film at a different demographic and struggled with it in Korea, where it earned only $8.6 million. China represents a significant opportunity for all the major Korean entertainment firms. At home they are increasingly limited by the size of the market – including an anti-monopoly probe – which creates an imperative on overseas expansion if companies are to continue growing. At the same time, Korean film and music stars are riding high in China, and Korean TV series have become major attractions for online platforms including Youku Tudou and iQiyi. Korea’s biggest entertainment player CJ Entertainment, backed by its food-to-fertilizer corporate parent, has already begun a concerted effort to break into the Chinese film scene.